Approximately 866 foreign insurers are underwriting direct risks on the German market,2 either through a branch3 or, for the majority, by offering services from their foreign places of business.4 Most of these insurers are based in countries of the European Economic Area (EEA).5 Approximately 1,424 German underwriters6 add to this number. All of these underwriters together achieved a turnover related to direct insurance of €185.4 billion, of which €10.18 billion or 5.4 per cent was generated by foreign insurers.7 Many of the German insurers are small-capital companies or mutuals that are only active within narrow geographical limits. The Federal Financial Supervisory Authority (BaFin), the German insurance supervisory authority, lists 30 actively operating reinsurers who have their seat in Germany as of 31 December 2014. They have now been operating for eight years in a difficult financial environment that gives them only low interest rates on their assets8 so that underwriting losses cannot be compensated with capital earnings to the extent it has been in former years. The implementation of Directive 2009/138/EC of the European Parliament and Council of 25 November 2009 on the Taking-up and Pursuit of the Business of Insurance and Reinsurance (Solvency II) into German law will also focus on the capital backing of insurers. Despite initial expectations that the Solvency II requirements might not come in force before 2017,9 the Bundesrat (representation of the German federal states) on 6 March 2015 approved the Parliament Act on the Modernisation of the Financial Supervision of Insurance Companies, which implements the Solvency II regime in national law. The German Solvency II legislation came into force on 1 January 2016. Under the Solvency II regime, both low interest rates and capital requirements have early been identified by reinsurers as drivers for reinsurance solutions10 and by the growing number of run-off service providers as drivers for such run-off solutions. As required by European law, insurers may transfer portfolios to other insurers in a Member State of the European Union, which, since 2008, also applies to reinsurers (Section 121 (f) of the German Insurance Supervision Act (VAG)). Germany will nevertheless be far from being a run-off paradise, since German law does not recognise the English concept of 'schemes of arrangements' and the German Federal Supreme Court held in 2012 that English court orders on the approval of such schemes11 are not enforceable in Germany.12 This fits with the German approach of being rather protective with regards to the position of the insured, often without any strict differentiation as to whether an insured is a consumer or a business entity. BaFin supervises insurers on behalf of Germany's federal government. Insurers of less economic significance, and especially those that operate only within one of Germany's federal states, may be supervised by supervisory bodies of one of Germany's federal states. BaFin currently supervises approximately 42 per cent of German insurers.13 Insurers supervised by BaFin nevertheless achieve 99.6 per cent14 of the total earnings of both groups, which underlines BaFin's economic significance. Pension funds and domestic reinsurers are also subject to BaFin's supervision, whereas statutory insurance institutions (statutory accident, unemployment, pension, health institutions) are not. Insurance companies require a licence before they may operate. Under the single licence principle, insurers who have obtained a licence in another EEA state do not require a further licence to operate in Germany.15 Such insurers may conduct business in Germany in accordance with their right to provide services under Article 56 of the Treaty on the Functioning of the European Union (TFEU) or through a branch in Germany in accordance with their right under Articles 49 to 52 TFEU. However, before commencing business from a branch in Germany, certain notification requirements must be met (Section 110a VAG). EEA insurers are subject to the financial and legal supervision of their home countries and, in respect of their German operations, additionally to the legal supervision of BaFin (Section 110a (3) VAG). Only public limited companies, mutuals or public law institutions can obtain a licence from BaFin. Documents to be submitted with the application include, inter alia, a business plan describing the risks that are intended to be covered, the reinsurance policy, proof of sufficient funds to cover the risks (minimum guarantee fund; the required quantum depends on the class of insurance) as well as sufficient funds to develop a business and sales organisation (organisation fund). At least two senior managers or executive directors need to demonstrate that they are sufficiently qualified and experienced to run the business. The principle of business separation applies, which means that an insurer cannot obtain a licence for all classes of business (e.g., an insurer who has been granted a licence to cover life risks cannot obtain an additional authorisation for property risks). Insurance supervision comprises legal and financial supervision. In respect of legal supervision, BaFin supervises whether insurers comply with all statutory requirements (Section 81(1) VAG). In respect of financial supervision, BaFin controls whether insurers comply with the principle of good business practice, which requires them to maintain proper accounts, consider risks under the insurance contracts as well as finance risks for their investments properly, to maintain a proper risk management system and to keep sufficient funds (solvency). Generally an insurer must refrain from conducting non-insurance business in order to avoid non-insurance related business risks. Pursuant to Section 81(2) VAG, BaFin can make any orders that are appropriate and necessary to avoid deficiencies or bring such to an end and, if necessary, withdraw the insurer's licence under Section 87 VAG. The VAG sets out additional competences for BaFin, such as being able to prohibit a manager who has recklessly breached obligations from continuing to work in his or her function pursuant to Section 87(6) VAG. In accordance with EU Directive 2002/92/EC of 9 December 2002, all persons who intend to distribute insurance products require a licence. This Directive has been implemented into German law in Sections 11a, 34d and 34e German Trade, Commerce and Industry Regulation Code and in the Insurance Broking and Advice Regulation. German material insurance law is primarily set out in the Code on Insurance Contracts (VVG). The rules of the VVG initially came into force in 1908 but were considerably changed in a reform that came into effect in 2008. As a consequence of this reform, judgments on the interpretation of the VVG rules of German courts and other publications need to be considered carefully to establish whether they refer to the old or the current rules. The reform's purpose was to modernise German insurance law, and especially to improve the position of the insured.16 Although the VVG is always focused on consumer protection, its rules also apply to non-consumer insurance contracts. The VVG's only differentiation between consumer and some non-consumer insurance contracts is that the insurer of consumer risks cannot deviate from most of the rules of the VVG to the detriment of the insured so that the VVG provides a 'minimum standard of consumer protection', whereas the parties to insurance contracts on specific non-consumer risks can, to a certain extent, deviate from all VVG provisions as dealt with further below. These specific non-consumer risks that allow deviations from the provisions of the VVG pursuant to Section 210 VVG are 'large risks' as well as risks covered under 'open policies'. This, however, does not mean that there are no limits for deviations even where they are generally allowed. Insofar as the VVG generally applies, it sets out the overall concepts as to what rights and obligations German law considers a fair balance between the potentially colliding interests between insurer and insured. The German rules on unfair contract terms impose limits on any deviation from such overall legislative concepts even in purely business relationships without any consumer involvement. The evaluation of whether a deviation from general statutory concepts is sufficiently balanced (and, therefore, valid) often gives German courts considerable discretion. This leads to considerations in German judgments that might appear odd, especially to foreign practitioners. Judgments on the claims-made principle or costs clauses in directors and officers liability (D&O) insurance contracts are good examples for this. This will be dealt with further below. liability for vessels (river, inland waterway and sea vessels). Other risks, such as land vehicles (other than railway rolling stock), fire and natural forces, all other damage to or loss of property and general liability are only large risks if the insured's business fulfils at least two of the following criteria: the balance sheet total is more than €6.2 million; the net turnover is more than €12.8 million; and on average there are more than 250 employees during the financial year. Consequently D&O risks, although not consumer-related, may, depending on the size of the insured's business, not be qualified as large risks, and may therefore be exposed to the same rules as a consumer insurance contract. 'Open policies', which also allow an insurer to deviate from the provisions of the VVG (within certain limits), are insurance contracts under which certain categories of risks are insured while the individual risk that is actually covered only materialises at a later stage (Section 53 VVG) (e.g., all shipments within a particular year). Transport policies are usually set up as open policies. Marine insurance was historically not governed by the VVG. The above considerations on the VVG's general concepts and the potential consequences of any deviations in well-established marine insurance conditions for their validity are the reasons why marine insurance practitioners were opposed to initial plans of the 2008 insurance law reform to include marine insurance in the VVG. They succeeded, and marine insurance remained completely excluded from the scope of the VVG as per Section 209 of the VVG. In this respect, the official explanatory statement of the German legislator for the 2008 VVG reform is noteworthy as it admits the existence of a 'considerable legal uncertainty' if the 'consumer-related' general concepts of the VVG applied generally on marine insurance.17 It was felt that this might disadvantage German marine insurers, so marine insurance was totally excluded from the scope of the consumer-oriented VVG. Other purely business-related insurance contracts such as industry property or D&O are not excluded, and are therefore exposed to German courts' considerations as to whether any deviations from the consumer-oriented VVG concepts are sufficiently fair (see below). Besides marine insurance contracts, reinsurance contracts are also exempted from the scope of the VVG, so that the general rules of German civil law set out in the German Civil Code (BGB) apply. An insurance contract, as any contract, requires a contract offer of one party and its acceptance by the other party. Usually the insured makes the contract offer (application) by requesting from an insurer cover for certain risks, usually by filling in the insurer's forms (which refer to the insurer's general insurance terms and conditions) and by answering the insurer's questions. This, of course, requires the insured to obtain some information from the insurer on its insurance products including application forms before making the application. The insurer's acceptance of the insured's application can still deviate from the insured's contract application, provided the insurer gives to the insured a conspicuous notice that, and in which respects, the insurance certificate deviated from the insured's application; informs the insured of its right to object to such deviations within one month; and informs the insured that its failure to object in a timely manner is statutorily deemed as the insured's acceptance of such deviations. If the insurer complies with these notification requirements and the insured does not object within one month after receipt of the insurance certificate, the insurer's deviations are deemed accepted by the insured. If, however, the insurer does not comply with its notification requirements (e.g., by not giving a conspicuous notice to the insured on deviations from the insured's application), the insurance contract is concluded on the basis of the insured's application. Insurers (insofar as large risks are not affected) are exposed to further obligations prior to the conclusion of an insurance contract: they are obliged to enquire about the insured's insurance needs, to advise on such needs and on adequate insurance solutions, and to document the contents of such advice and its reasons. Apart from the exclusion of large risks from this obligation, this does not apply if the contract is concluded through an insurance broker (Section 6(6) of the VVG), who then has to comply with such advice and information obligations instead. The insured may, however, waive in writing its right to be advised and informed. If the insurer fails to comply with these obligations, it may be liable to indemnify the insured for any losses caused. Moreover, the insurer's general insurance terms and conditions may not be validly incorporated into the contract. Generally, the insured is entitled to withdraw from its contract application (so that the insurance contract ends retroactively) within two weeks after receipt of the insurance policy or certificate if properly advised on this right in text form (text form includes emails, which would not be qualified as 'written form' under German law). Exceptions apply especially for insurance contracts for large risks, for some provisional cover notes and for insurance contracts with an insurance period of less than one month. The conclusion of insurance contracts that are not subject to the VVG (marine insurance and reinsurance) is governed by the general rules of the BGB and, therefore, only require offer and acceptance without any further compliance requirements. It is even sufficient to simply refer to general insurance conditions in order to incorporate them into such without actually providing the insurer's terms and conditions. Pursuant to Section 19(1) of the VVG, the insured is under an obligation to disclose to the insurer all known circumstances prior to conclusion of the insurance contract that, first, are relevant for the insurer's decision to enter into the insurance contract with the agreed contents, and, secondly, that the insurer requests the insured to answer specifically in text form (text form includes emails, which would not be qualified as 'written form' under German law). This includes a prohibition to make false representations. Usually all circumstances that the insurer requests specifically are relevant for its decision, although there may be exceptions. As a consequence of the 2008 VVG reform, the insurer can no longer expect the insured to disclose any circumstances not specifically asked for, so there is no longer any doctrine comparable to the English concept of 'utmost good faith' (requiring the insured to disclose anything material for the risk even without any specific questions) under the rules of the VVG. As they are not subject to the rules of the VVG, German marine insurance and reinsurance contracts may still require the insured to disclose even material circumstances without any specific questions of the insurer. For example, Section 19 of the General German Marine Insurance Conditions still requires the insured to disclose all material circumstances that are relevant for the insurer's acceptance of the risk without the requirement to submit specific questions. It should also be possible to agree on similar terms for large risks falling under the provisions of the VVG, although this has not yet been tested in court. The insurer may (retroactively) withdraw from the contract (Section 19(2) of the VVG) unless the insured did not breach its disclosure or representation obligation intentionally or with gross negligence. The insured is under the onus of proving lack of intention or gross negligence. If the insured did not act intentionally or with gross negligence, the insurer is entitled to terminate the insurance contract within one month (which does not affect the insurer's obligation to cover any insured losses before the termination becomes effective). Unless the insured breaches its disclosure or representation obligation intentionally, the insurer's right to withdraw from or to terminate the contract is excluded if the insurer had concluded the contract (even with different contents) if it knew of the undisclosed circumstances. The insurer may then only request that the insurance contract be adapted to such other conditions. This effectively means that certain risks are excluded, the premium is increased, or both. All of these remedies will expire within one month after receipt of knowledge of the insured's infringement of its disclosure or representation requirements (Section 21(1) of the VVG). If the insurer withdraws from the contract after an insured event occurred, it is not obliged to cover the losses, unless the insured's breach of disclosure or misrepresentation obligations refers to circumstances that were neither relevant for the occurrence of the insured event nor for the insurer's determination of the insured event and the scope of its obligations under the insurance contract. If, however, the insured maliciously infringed its disclosure or representation obligations, the insured is not obliged to cover the loss (Section 21(2) of the VVG). The insurer's right to withdraw or to terminate the contract expires five years after the conclusion of the contract, unless the insured breached its obligations intentionally and maliciously, in which case a 10-year period applies. In any case, the insurer may challenge the contract in accordance with the general civil rules applicable to a malicious deception (Section 22 of the VVG). In summary, the consequences of the insured's breach of its disclosure or representation obligation depend on the insured's degree of fault, and, partly also on whether the insurer would have entered into an insurance contract (even with additional risk exclusions or with an increased premium, or both) had it known the actual facts or circumstances. The following table gives an overview on the most relevant situations. It is based on the assumption that the insured's breach of disclosure or misrepresentation obligations refers to circumstances that were relevant for the occurrence of the insured event, or for the insurer's determination of the insured event or the scope of its obligations under the insurance contract. The above rules provide for considerable judicial discretion in potential legal disputes and corresponding legal uncertainties in applying these rules on specific cases, which the German legislature nevertheless accepted for assumed fairness considerations. Insurance terms and conditions are to be construed 'objectively' (i.e., by reference to the hypothetical understanding of an average insured who has no specific insurance or legal expertise). The starting point of any interpretation is the wording, its objective sense and the systematic context in which a particular clause is contained. All relevant contractual information, including the insurance certificate, product information sheets or other product information, may serve as an interpretation aid. There is a further interpretation rule that applies to the differentiation of the definition between risks and their exclusion or limitation and the insured's obligations. Pursuant to Section 28 of the VVG, the parties may agree on certain obligations in the insurance contract with which the insured has to comply. The consequences of the insured's breach of such obligations depend on the degree of its negligence, so that the insurer is not necessarily entitled to avoid coverage. Contrary to this, losses are not covered that are caused by an excluded risk (without any reference to negligence considerations). A clause phrased in a way that it seems to describe a risk and the objective scope of coverage may nevertheless be construed as an obligation of the insured. By way of example, the hull insurance conditions for inland waterway vessels (AVB Flusskasko 2000) exclude any damage or loss caused by a vessel not being fit for the voyage, 'especially not being sufficiently equipped, manned or laden'. In a judgment of 11 February 1985,21 the Federal Supreme Court considered this to be an objective exclusion of a risk (meaning losses caused by an unfit vessel are excluded from coverage). In a judgment of 18 May 2011,22 the Federal Supreme Court gave up its previous view and found that the clause is to be considered as setting out a 'disguised obligation'. It held that the wording and systematic position of a clause are irrelevant for its qualification as either a (disguised) obligation or as an exclusion of risk. According to the Court, it matters whether the clause either describes a specific risk or whether it primarily requires a specific behaviour of the insured. Consequently, German law and practice requires a careful analysis of whether a particular clause is to be qualified as description of a risk (including limitations and exclusions) or as setting up an obligation of the insured. This analysis must not focus on the clause's wording, as the wording and systematic position of a clause (and obviously also the intention of the parties to the insurance contract) are irrelevant. The reason behind this approach is to avoid insurers circumventing the restrictive rules on avoidance of coverage for the insured's breach of obligations, so German courts are rather sceptical about potential risk exclusion clauses that could alternatively have been phrased as a clause requiring a certain behaviour of the insured (in the above case, the behaviour to commence the voyage only with a vessel that was fit for the journey). It has not yet been tested whether German courts would apply this differentiation method in the same way on marine insurance (the above insurance of inland waterway vessels is not marine insurance under German law), which is not subject to the VVG rules at all. Therefore, the parties should be able to freely agree whether they want an exclusion of a specific risk or an obligation that should, as usual, be determined primarily by reference to the clauses' wording. The same should apply for large risks, although German courts tend to apply the concept of 'disguised obligations' as a rule of interpretation without differentiation between large and other risks. The concept of disguised obligations is increasingly perceived as being alien to the method under which contracts are to be interpreted, so that criticism of this concept (even from a Federal Supreme Court judge)23 is increasing. It is likely that the Federal Supreme Court will give up this concept in the near future. Should this happen, any risk exclusion that the courts currently consider to be a (valid) disguised obligation will as of then be considered as invalid exclusion. Consequently, insurers should carefully reconsider their exclusion clauses. German law differentiates between terms that describe the risk including risk-related objective limitations, or exclusions or other objective requirements for compensation and the insured's obligations. Clauses that do not constitute contractual obligations of the insured can simply be construed under application of the rules explained above. If the requirements set up by such clauses are fulfilled, they trigger the consequences set out in the contract. The position is more complicated in respect of the insured's contractually agreed obligations, as the consequences depend on the degree of the insured's negligence and also partly on causation issues. The insurer is entitled to terminate the contract unless the insured's breach of a contractual obligation was not intentional or grossly negligent. For termination purposes, the insured is under an onus of disproving the assumption of intent and gross negligence (Section 28(1) of the VVG). The insurer is entitled to avoid coverage fully if it proves that the insured intentionally breached its contractual obligation. In cases of a grossly negligent breach of a contractual obligation, the insurer is entitled to reduce the contractual compensation promised under the contract in proportion to the gravity of the insured's fault. This was one of the crucial parts of the 2008 VVG reform that abolished the 'all or nothing principle', which meant that the insurer either must grant coverage in full or not at all. 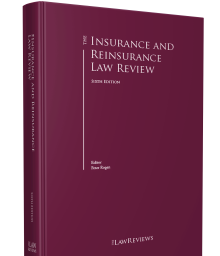 The reform requires the insurer in cases of gross negligence to compensate the losses partly to an extent that depends on the gravity of the insured's fault. In respect of coverage (as opposed to termination) the insured is to disprove the assumption of gross negligence if it intends to avoid these consequences. The above does not apply if the insured proves that its breach of a contractual obligation was not causal for the occurrence or determination of the insured event, or for the determination or the scope of the insurer's obligations under the insurance contract. If the insured breached a contractual obligation maliciously (to be proven by the insurer), causation does not matter. Similar provisions apply in respect of an increase of risk caused by the insured that is prohibited under Section 23(1) of the VVG or an increase of risk not notified to the insurer (Section 23(2) of the VVG). Depending on the gravity of the insured's breach, the insurer may avoid coverage, reduce the compensation or terminate the insurance contract, or both (Sections 24 and 26 of the VVG). Section 81 of the VVG expressly sets out that the insurer is not obliged to make any compensation if the insured intentionally causes the insured event. If the insured causes the insured event with gross negligence, the insurer is entitled to restrict its compensation in proportion to the gravity of the insured's negligence. Again, these rules do not apply to marine insurance and reinsurance. German marine insurance conditions do not have such a sophisticated system of consequences of the insured's breach of obligations. Paragraph 23 of the DTV Hull Clauses, for example, discharges the insurer from liabilities caused by a vessel that was unseaworthy when the journey commenced, unless the insured could not have avoided this with reasonable care. Therefore, any fault of the insured enables the insurer to avoid coverage fully without any need to differentiate between various degrees of negligence, so that the all or nothing principle still exists in German marine insurance law. In respect of large risks, the parties to an insurance contract should also be able to agree that any negligence of the insured enables the insurer to avoid coverage fully as under the insurance of large risks deviations from the VVG provisions are possible. However, it has not yet been determined by German courts whether such differentiation is also required for large risks under the applicable rules of the German unfair contract terms provisions of the BGB. The 'all or nothing' principle is still contained in most German transport policies, which is possible as these are open policies (see above). It is worth noting that any fault of a person who is deemed to be the representative of the insured is attributable to the insured. This includes any person to whom the insured entrusted the administration of the insured risk, so this person should comply with the insured's obligations irrespective of whether this person is the insured's director or may otherwise legally represent the insured. As there is no easily applicable test as to whether a person is to be qualified as the insured's representative in a particular situation, there are various (non-binding) precedents as to who qualifies as the insured's representative. The captain of a vessel, for example, qualifies as the shipowner's or insured's representative in respect of a marine hull policy, but is not the representative of cargo owners under the transport policy. Various provisions of the VVG are compulsory in a way that they cannot be derogated from to the detriment of the insured, unless large risks are concerned. In respect of large risks and open policies, the parties are generally free to deviate from the provisions of the VVG (Section 210 of the VVG). However, as already mentioned above, the VVG provides for an overall legislative concept of a fair balance between the rights of the insurer and the insured. Insofar as the VVG generally applies (including large risks and open policies; excluding marine insurance and reinsurance), an insurer is not entitled to deviate from the provisions of the VVG without any limitation in its general terms and conditions of contract. Two recent judgments on D&O insurance clauses clarify the position. In an often-quoted judgment of the Appeal Court of Munich,24 the Court considered whether the claims-made principle contained in D&O insurance conditions was valid as this principle is alien to the occurrence principle of German liability insurance practice. Claims-made liability policies define the insured event in general as the actual pursuance of a claim (with modifications) irrespective of when the event that caused such claims occurred. The occurrence principle defines as the insured event the actual occurrence that led to claims, irrespective of when such claims are pursued. As opposed to the occurrence principle, the claims-made principle might disadvantage an insured insofar as it might not be entitled to coverage if claims are only pursued against it after the expiry of the liability policy even if this policy was in place when the event occurred that caused the claims. The Appeal Court of Munich considered carefully whether this disadvantage is sufficiently balanced with the advantages the claims-made policy provided to the insured and found that this was the case. Consequently, the Court confirmed the validity of the claims-made principle. However, the reason for this was only that the policy also contained the usual clause according to which claims are even covered after the expiry of the policy if they are notified to the insurer within one year after the expiry of the liability policy, and that even claims that were caused prior to the inception of the policy are covered. Today, there is no doubt that the claims-made principle, as defined in current D&O insurance conditions, is valid. Nevertheless, the Munich judgment serves as a good example that German courts will always carefully consider whether any deviations from VVG provisions and its legislative concepts are sufficiently balanced. The D&O insurers were less fortunate in a dispute on which the Appeal Court of Frankfurt handed down a judgment on 9 June 2011.25 The Court considered the usual clause that the costs of legal proceedings 'including lawyers', experts', witness' and court costs are contained in the maximum amount insured' to be invalid as it found this to deviate in an unbalanced way from the overall legislative concept of the VVG according to which an insurer is to indemnify such costs in addition to the maximum liability agreed in the insurance contract. It is doubtful whether other courts will follow this approach. However, this judgment again underlines that German law provides for considerable uncertainties in its effort to protect consumers and business entities alike. This also confirms that marine insurance practitioners were right in their successful effort to exclude marine insurance from the scope of the VVG provisions totally, which has never been an issue in respect of reinsurance. The VVG differentiates between the insurer's agents and brokers. Agents are persons or entities that the insurer entrusted with the task of concluding or arranging insurance contracts (Section 59(2) VVG). Agents act on behalf of the insurer. Persons or entities that arrange insurance contracts between an insurer and an insured 'without doing so on behalf of an insurer' (Section 59(3) VVG) are acting as brokers. This usually means that the insured instructs the broker to arrange coverage. Any misconduct or knowledge of the agent is attributable to the insurer, while this, in principle, is not the case for brokers. However, the Appeal Court of Karlsruhe recently found that a broker's misconduct in giving improper advice to the insured was attributable to the insurer, as the latter did not have an independent distribution system but exclusively relied on the services of brokers.26 If, according to the court's reasoning, an insurer uses brokers to distribute its products, and if additionally there are no clear indications that the broker undertook to obtain coverage on behalf of the insured by choosing a suitable insurer rather than working together with one particular insurer, the broker acted as an agent would have done. The Court found that the insurer then should be treated as if the broker was an agent. Claims are to be notified to the insurer without undue delay. Any failure to do so is a breach of an obligation subject to the sophisticated consequences set out above, so that a breach does not necessarily release an insurer from its coverage obligation. The insurer is then required to investigate the matter and decide on coverage quickly. Although the principle of 'good faith' is a cornerstone of German civil law, its practical effects can be seen more in the way contracts are construed, and contract terms might be invalid if they are considered to be grossly unbalanced. However, there is no particular concept of 'utmost good faith' with particular legal consequences in German insurance law. If an insured submits a fraudulent claim, the usual civil law and insurance remedies apply: the insurer may in exceptional circumstances rescind the contract pursuant to Section 123 BGB if it is able to prove that the insured already entered into the contract with the intention to deceive the insurer. Other cases are subject to the consequences of a breach of obligations set out above, and may additionally allow the insurer to claim damages for losses reasonably suffered, especially costs for investigating the matter. An unjustified rejection of claims or a delayed decision on coverage has no particular consequences. The insured may then simply sue the insurer. However, any obligations owed by the insured to the insurer under the insurance contract (e.g., obligation to cooperate with the insurer, and to provide any information or disclose any document the insurer considers necessary) cease as a consequence of the insurer's rejection. The insurer may set off any open premium claims under an insurance contract from any claims payable under such contract, even if the insured person is not the insurer's contractual partner, and therefore does not owe the premium (Section 35 VVG). The indemnification of the insured person leads to an automatic transfer of potential recourse rights against third parties to the insurer. The effect is comparable to an assignment from the insured person to the insurer that, however, is effected automatically simply by the insurer's act of making the payment to the insured person. The insured is under an obligation to protect any recourse claims and to cooperate with the insurer in enforcing such claims (Section 86(2) VVG). The insured's failure to do so may be a breach of its obligations subject to the sophisticated consequences set out above. This means that the insurer may not necessarily be able to avoid coverage as a consequence of the insured's breach of this obligation. The main difference between an automatic transfer of rights under the VVG and a subrogation under English law is that after the transfer the insurer is the recourse claimant, so that it may sue in its own name and also becomes a party to a recourse action. Pursuant to Section 215 VVG, the insured is entitled to sue the insurer at the place where the insured is based. The court at the insured's place of business is exclusively competent for claims against him or her. The parties are free to deviate from this in respect of large risks, although this has not yet been confirmed in judgments. In any event, Council Regulation (EC) 44/2001 of 22 December 2000 on jurisdiction and the recognition and enforcement of judgments in civil and commercial matters, which is applicable if a person domiciled in a Member State is sued in another Member State, prevails. Any agreements on the applicable law are subject to EC Regulation 593/2008 of 17 June 2008 on the law applicable to contractual obligations (Rome I), which will not be dealt with as Germany directly applies this Regulation as part of European law. Arbitration clauses are commonly (albeit not only) used in marine insurance and reinsurance contracts. They are rarely used in other insurance contracts, even if large risks are concerned. Arbitration clauses usually agreed to in marine insurance contracts may refer any disputes to an arbitration tribunal under the rules of the German Maritime Arbitration Association. Alternatives are the German Institution of Arbitration or ad hoc tribunals without any specific procedural rules. German arbitration proceedings are conducted in a similar way to usual litigation, although they should be quicker, and the arbitrator should be more familiar with insurance concepts and, although this has rarely been discussed, would probably not have such strong reservations as regards deviations from the VVG provisions in respect of large risks as state courts sometimes have. Alternative dispute resolution, especially mediation, is starting to develop in Germany, although normally on an ad hoc basis rather than as a contractually agreed requirement. German litigation and arbitration proceedings do not have any pretrial procedures, as there are no procedural disclosure requirements. In principle, each party is required to substantiate the facts and submit evidence without being able to obtain such facts and evidence from opponents through disclosure, although there is a duty within legal proceedings not only to object to the opponents' statements of facts flatly but to make substantiated counter submissions and to make substantiated submissions on facts that the other party cannot know. Moreover, the judge may order the parties to submit certain documents that he or she considers relevant (Section 142 of the Code on Civil Procedure). Material law might also require a party to disclose information and documentation to the other party on its request irrespective of whether legal proceedings have already commenced. This is the case under insurance contracts, for example, according to Section 31 VVG, the insured is under an obligation to give any information to the insurer that it requires to determine the scope of its obligations, as well as documentation that the insured can reasonably obtain. This obligation ceases with the rejection of coverage. Oral hearings are usually prepared by the exchange of written submissions (points of claims, points of defence, further reply submissions). The judges or arbitrators will, at the beginning of the proceedings (usually at the beginning of the oral hearing), try to induce a settlement between the parties. In this respect, they might even be quite open with their preliminary view on the facts and the merits of the case, and might hear the parties or their representatives personally. If the matter cannot be settled, the judge usually discusses the merits with the parties' counsel and explains how he or she intends to proceed further (e.g., to hand down a judgment usually a few weeks after the closure of the hearing or to hear evidence). The judge might also order the parties to make further submissions of fact that he or she considers necessary. If the matter is not ready for a decision, the hearing will be postponed. Judgments can be appealed before the appeal courts, which, however, will only reconsider the facts determined in first instance if relevant procedural mistakes have been made that might have resulted in wrong factual determinations or if there are other indications that the court's determinations were incorrect. German appeal courts are rather reluctant to set aside a judgment for potential mistakes as to the evaluation of evidence in first instance. A further appeal to the Federal Supreme Court is only permissible if such is necessary to clarify legal questions of fundamental significance, if similar legal questions are evaluated differently by different lower courts or if lower courts deviated from the Federal Supreme Court's findings on law as set out in its previous judgments. The losing party is to indemnify the winning party for costs incurred for proceedings in accordance with statutory fee tariffs. The recoverable costs depend on the sum in dispute. Court costs are to be advanced by the plaintiff. By way of example, court costs for an action for payment of €100,000 in first instance amount to €2,568 and recoverable lawyers' fees to approximately €3,400. Disbursements such as travel costs, expert fees, etc., have to be added. The statutory fee tariffs and their effect on recoverable costs make the cost risks involved in litigation easily assessable for parties to a dispute. Similar cost principles and tariffs apply in arbitration proceedings, unless the parties agree otherwise. In 2015, German courts handed down various judgments on the construction of provisions of the VVG and on consequences of the 2008 VVG reform as well as the construction of clauses in insurance contracts. The Federal Supreme Court set up a sophisticated differentiation between an intentional increase of risk that allows an insurer to avoid coverage pursuant to Sections 23 and 26 VVG, and a deliberate increase of risk. The latter does not necessarily constitute an intention.27 In 2013, but with continuing relevance, the Federal Supreme Court reconfirmed its position regarding the contractual obligation of the insured to provide information in relation to an insured event.28 This obligation ceases to exist after the insurer denies coverage as, in the Court's opinion, the insurer then has no legitimate interest in any such information anymore. If the insurer decides to revoke the denial and is open to reconsider providing coverage, the obligation of the insured comes back into existence. In a judgment of 20 January 2015,29 the Employment Appeal Court of Düsseldorf held in respect of D&O insurance that a cartel fine imposed on a company is not recoverable from its director (and consequently its D&O insurers) even if an event is caused by the director's misconduct. In the opinion of the Court, the purpose of a cartel fine is to impact the company, so the fine needs to remain with the company without any recourse possibilities. This view is considered to be highly controversial, and it might not be shared by other courts. On 15 February 2012, but with continuing relevance, the Federal Supreme Court decided that an English court order on the approval of a scheme of arrangement cannot be recognised in Germany.30 The Supreme Court held that a procedure under Section 425 of the Companies Act 1985, in which such schemes are approved, is not to be qualified as an insolvency proceeding, which would have to be recognised in Germany under Section 88 of the VAG or under the German rules on insolvency proceedings (InsO).31 It further held that an insurer may only commence actions against insureds in the state where they are domiciled in accordance with Articles 8 and 12 of Council Regulation (EC) 44/2001 of 22 December 2000 on jurisdiction and the recognition and enforcement of judgments in civil and commercial matters. According to the Supreme Court, any court proceedings that affect the rights of the insureds are legal proceedings within the meaning of that Council Regulation, and can only be pursued in the state where the insured is domiciled. On 1 January 2014, the preparation of Solvency II commenced. BaFin announced its intention to comply with all guidelines published in 2013 by the European Insurance and Occupational Pensions Authority in this regard. The corresponding national legislation came into force on 1 January 2016. The Solvency II Directive aims at changing the existing supervision rules including solvency rules (i.e., capital requirements and its assessment) for insurers and reinsurers considerably. Solvency II contains three 'pillars': Pillar I deals with capital requirements and the evaluation of assets; Pillar II with the insurer's governance structure and required risk and solvency management systems (own risk and solvency assessments) to be applied by insurers; and Pillar III with reporting requirements. The substantive change in respect of capital requirements for all EU regulatory bodies will be that the capital required under Solvency II will, in future, depend on the insurer's strategic decisions and the risks arising therefrom (risk-based solvency assessment). The new rules do not assess capital requirements by reference to premiums earned or the average insurance compensations paid in past periods,38 but provide for a framework within which supervisory bodies are to apply their (then extended) discretion to determine individually the capital requirements that are (considered) necessary by supervisory bodies to ensure that insurers will, in the long term, be able to meet their obligations under insurance contracts. BaFin has, to a certain extent, already followed a similar approach in respect of risk management and reporting requirements since 2009 with the setting up of 'MaRisk'.39 Hence, some of the preparatory works are not new to the German industry. Further, insurers are free to decide if and which steps are taken to prepare their businesses for Solvency II. Only if BaFin is under the impression that an insurer is insufficiently prepared for Solvency II might it apply a closer control scheme to such insurers. Under material insurance, there have been no significant changes since the reform of 2008. The insurance legal practice is, however, still trying to adapt to these new rules and the most significant issues are to be expected in respect of courts' determinations on the validity of certain insurance clauses insofar as they deviate from VVG provisions. There are significant uncertainties in this respect also regarding large risks where it is generally possible to deviate from the VVG provisions, although the limits are uncertain. The judgment of the Appeal Court of Frankfurt on cost clauses in D&O insurance contracts (see Section III.iii, above) may serve as an example. Legal risks arising from uncertainties regarding the validity of insurance concepts and their potential clash with the general concepts contained in the VVG are primarily caused by a rather restrictive German judicature. As set out in Section III.iii, above, the next development with significant impact on insurers will most likely be the abolishment of the concept of disguised obligations, which will automatically make exclusion clauses previously considered as disguised obligations invalid. 1 Markus Eichhorst is a partner at Ince & Co. The information contained in this chapter is accurate as of April 2017. 2 From 2010 to 2013, there were between 899 and 926 underwriters; source: BaFin (www.bafin.de), Statistik Statistik der Bundesanstalt für Finanzdienstleistungsaufsicht – Erstversicherungsunternehmen und Pensionsfonds (2013), p. 6 f.
3 In 2014, in total 82; BaFin, l.c. 4 In 2014, in total 866; BaFin, l.c. 5 In 2014, only three non-EEA underwriters maintained a branch in Germany, BaFin, l.c. 6 In 2013; BaFin, l.c., p. 8. 7 BaFin, l.c., p. 7. 8 BaFin, Jahresbericht der Bundesanstalt für Finanzdienstleistungsaufsicht 2013, p. 142. 9 President of BaFin Elke König's speech of 22 January 2013 (www.bafin.de/SharedDocs/Reden/DE/re_130122_neujahrspresseempfang_p.html). 10 Munich Re press release of 12 March 2012 (www.munichre.com/de/media_relations/press_releases/2012/2012_03_13_press_release.aspx): 'Zudem geht MunichRe davon aus, dass im weiteren Verlauf der Finanzkrise und mit der Einführung von Solvency II der Bedarf für Rückversicherungslösungen steigt'. 11 Section 425 of the Companies Act 1985. 12 Judgment of 15 February 2012, IV ZR 194/09. 13 Thomas Schmitz-Lippert, Internationales und Europäisches Recht der Finanzmarktaufsicht, Vorlesung an der Universität Bonn im Sommersemester 2012. 15 Certain EU/EEA insurers, such as mutuals with low premium income, are excluded, but nevertheless require a licence pursuant to Section 110 (d) VAG. 16 Entwurf eines Gesetzes zur Reform des Versicherungsvertragsrechts of 20 December 2006, Bundestagsdrucksache 16/3945, p. 1. 18 Verordnung über Informationspflichten in Versicherungsverträgen (VVG-InfoV). 19 Prölss/Martin, Versicherungsvertragsgesetz, 28. Auflage 2010, Vorbem. III Rn. 16. 20 Beschluss of 22 July 2009, IV ZR 74/08. 21 II ZR 290/83, VersR 1985, 629. 23 Joachim Felsch, Verhüllte Obliegenheiten – ein Nachruf, r+s 2015, 53 ff. 24 Judgment of 8 May 2009 – 25 U 5136/08. 26 Judgment of 2 August 2011, 12 U 173/10. 27 Judgment of 10 September 2014, IV ZR 322/13. 28 Judgment of 13 March 2013 IV ZR 110/11, NJW 2013, 1883. 29 LAG Düsseldorf, VersR 2015, 782. 31 Section 343(1) of the InsO. 33 Süddeutsche Zeitung, online, 22 February 2014. 34 Manager Magazin, online, 2 August 2014. 35 'Kirch-Interview kostet Breuer 3,2 Millionen Euro', Boerse ARD of 31 March 2016: www.boerse.ard.de. 36 OLG Celle, 8 U 172/15 – not yet published. 37 Bundesgerichtshof, IV ZR 69/16. 38 See Verordnung über die Kapitalausstattung von Versicherungsunternehmen – Kapitalausstattungsverordnung. 39 BaFin's 'Minimum Requirements for Risk Management in Insurance Undertakings', Circular 3/2009, have been issued on the basis of Section 64a of the VAG. Fraudulent Insurance Claims: Where Are We Now?